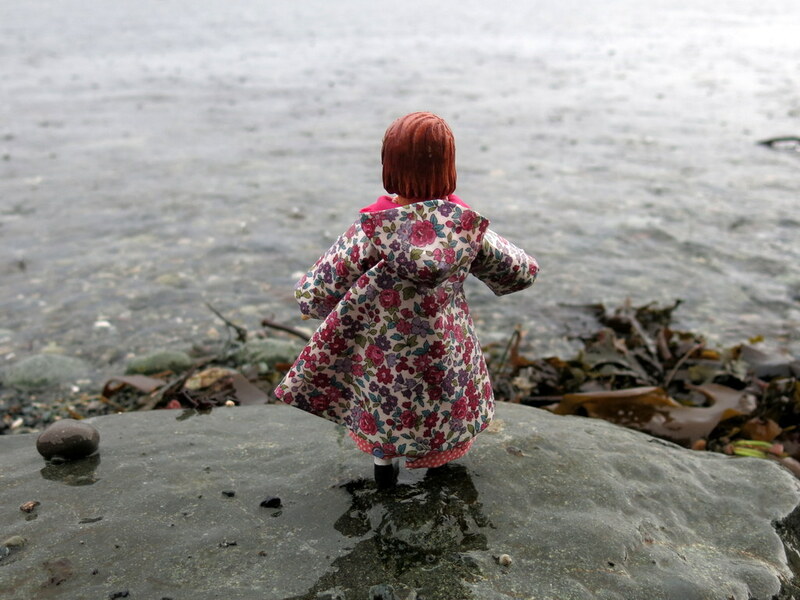 Luckily it was pouring rain outside, so Aurelia wore her new clothes to the beach!! Aurelia was very impressed with the leavings from the otter’s dinner! We saw the otter but it slithered away too quickly for a photo! The ducks were more obliging. …and got silly with a limpet shell. 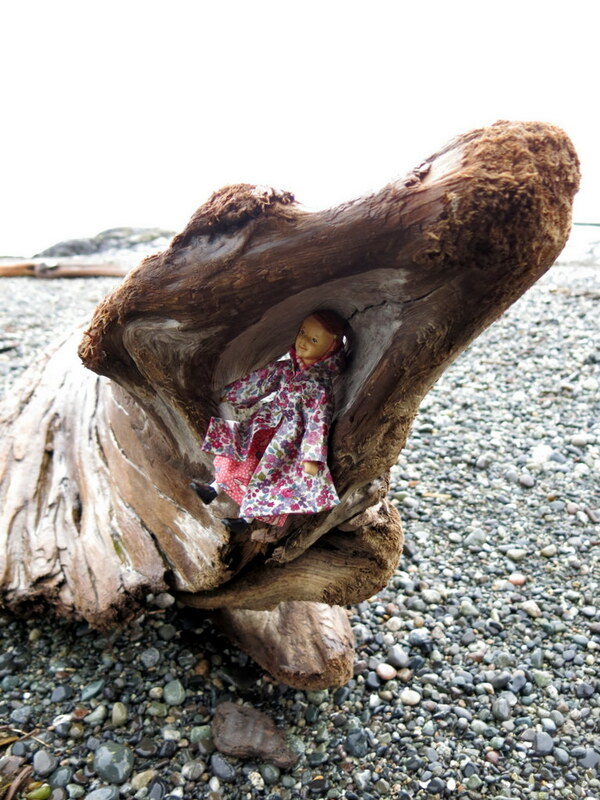 …Aurelia tucked herself into a driftwood hollow. 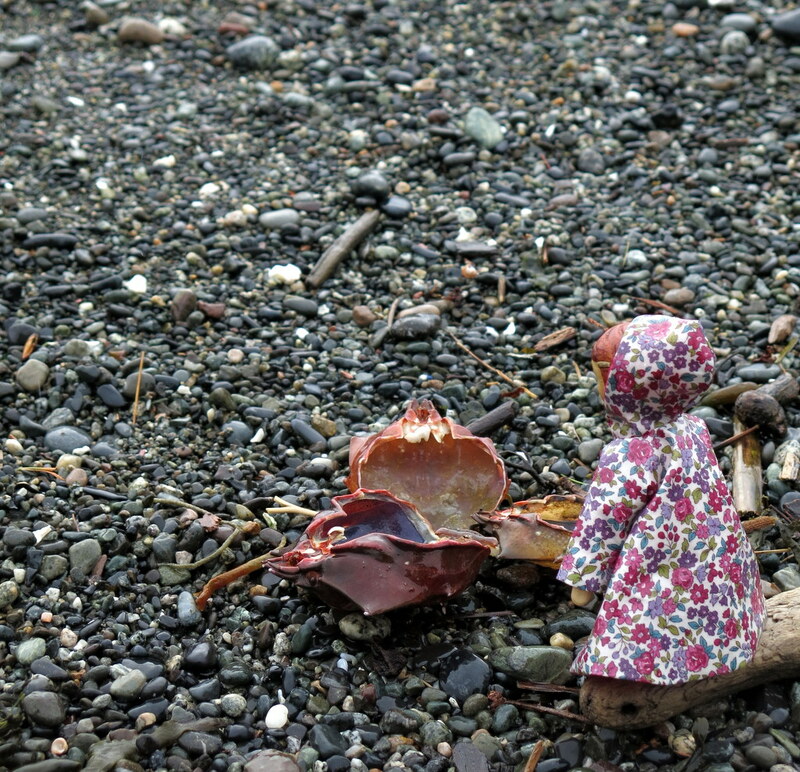 When the rain let up again, she gathered up her treasures and headed home! 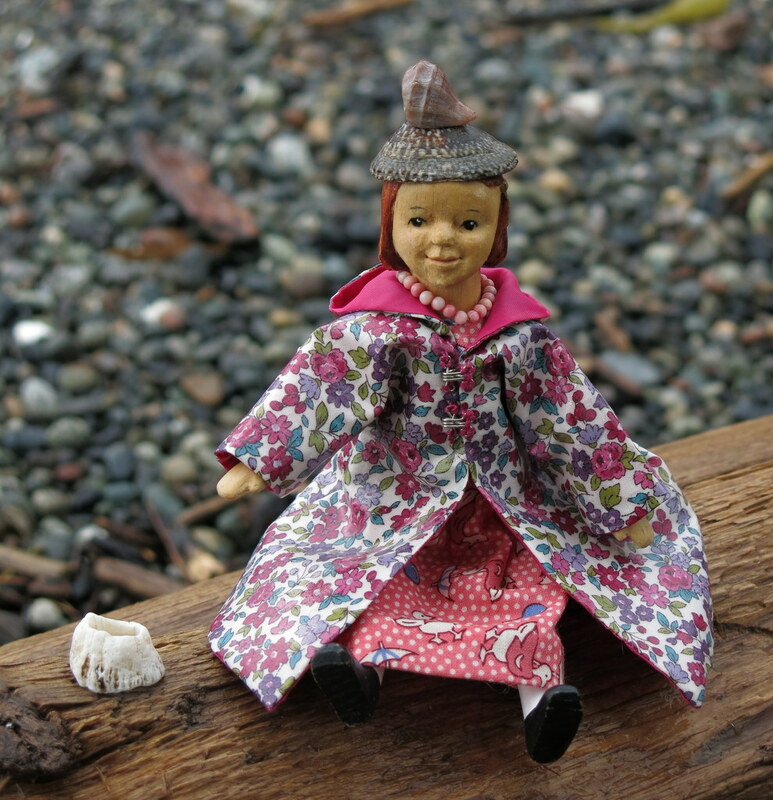 No wonder Aurelia has that beautiful smile on her face…with her pretty new dress and her gorgeous new raincoat…she had an amazing time at the beach. 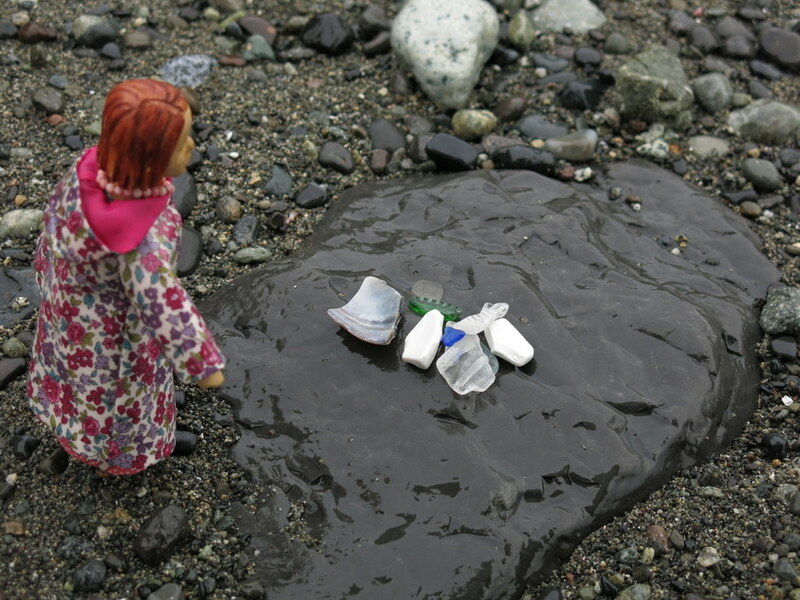 Her outdoor treasure finds were lots of fun…and that driftwood hollow was great. Loved…loved…loved…this story. It makes the rain seem tolerable. 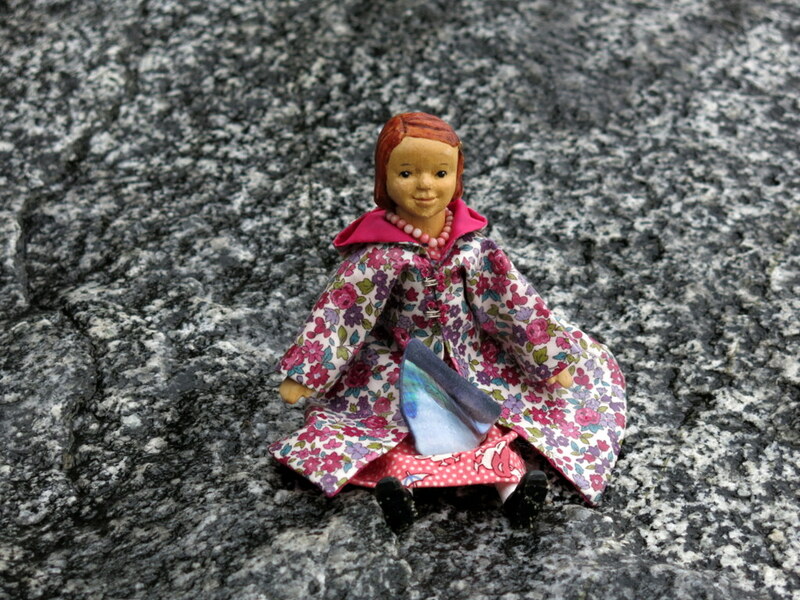 Aurelia is happy to try out the new raincoat and she loves the dress! 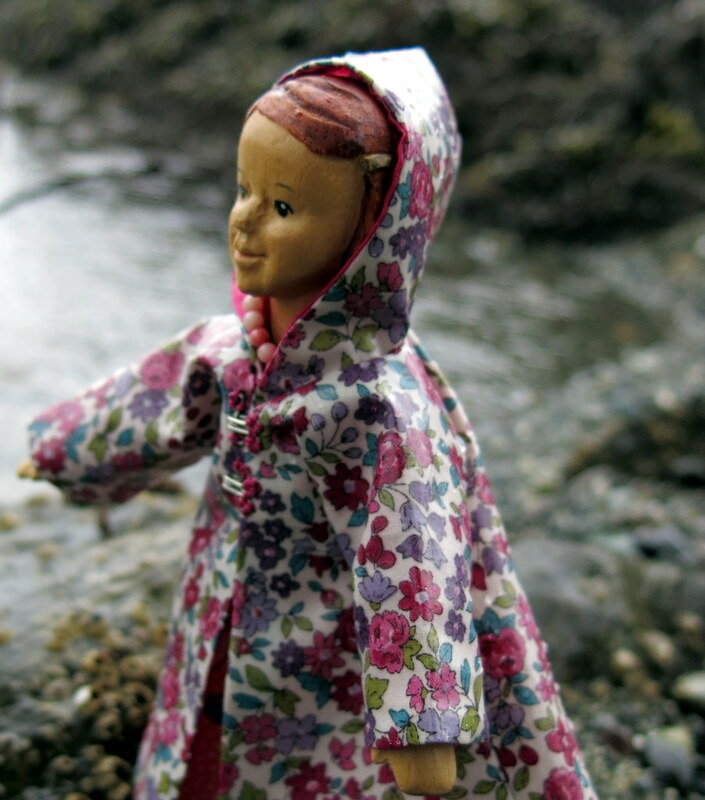 We do love visiting the beach in the rain – it is peaceful, and we see interesting things…like our favourite otters! Wonderful story to start the day. Thank you! Aurelia … I like the rain too. congratulations on your beautiful new coat. 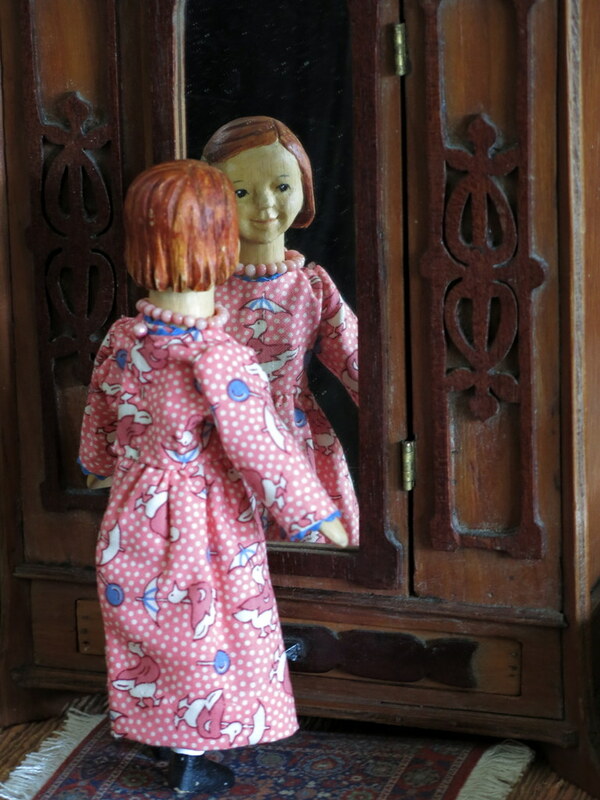 Aurelia says you are welcome, and thank you so much for the kind compliments. The raincoat fits well and sheds rain like nobody’s business! Wow! 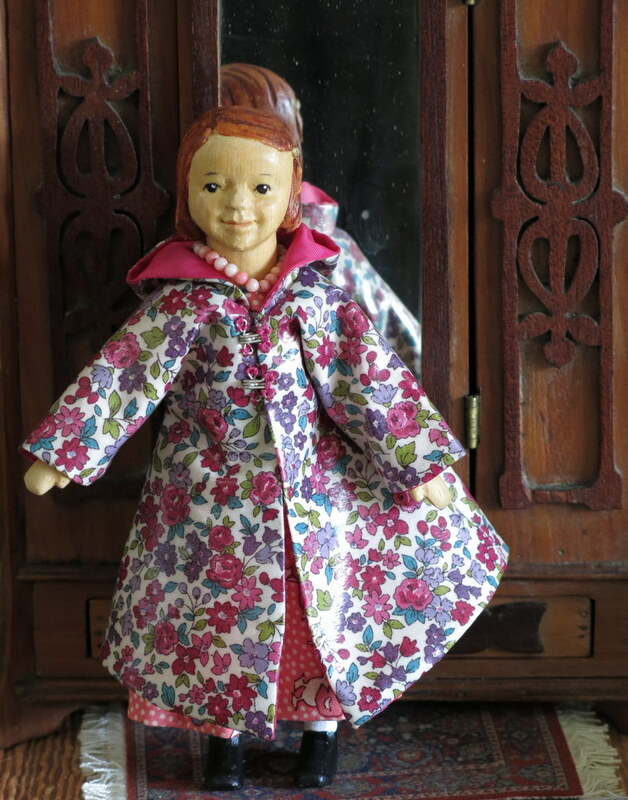 A lovely ducky frock and a really beautiful rain coat! She is a lucky ducky little girl. The beach photos are great and I laughed at her limpet hat! What a fun outing in spite of the rain! She is a lucky duck! 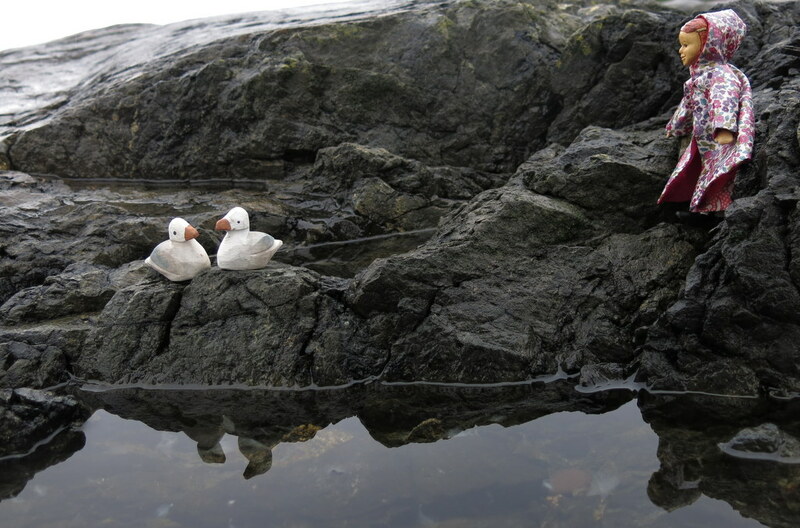 We saw several ducks and seabirds off-shore, but not close enough to photograph…Aurelia thinks that limpets were meant to be hats! It was a perfect rain coat, bright, cheery and very visible! Also completely waterproof! Aurelia was pleased.